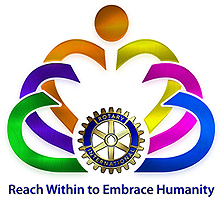 There is a new Rotary Club in the mid-Pacific. 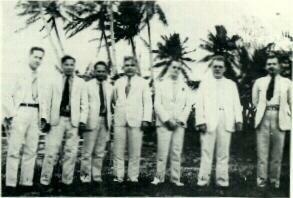 It is the Rotary Club of Guam and it was admitted as a member of Rotary International on August 30, 1939. As such it is club No. 5105. Its officers are C. C. Butler, president; Mr. McDurmit, vice-president; F. W. Fall, treasurer; V. Rosario, secretary. The directors are: J. M. Flores, P. Martinez, K. R. Miller, J. M. Torres, and B. J. Bordallo. 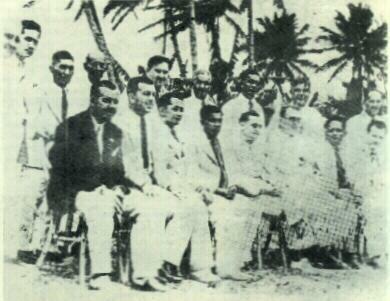 The Guam Rotary Club was organized by the past vice-president of Rotary International on July 4, 1939. Preliminary arrangements were first made sometime in 1938 when the same officer passed through Guam on his way to Chicago for a meeting of the board of directors of Rotary International. 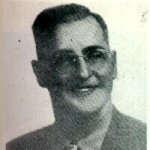 “Ray” Reynolds of the Manila Rotary was later delegated to make a survey of Guam. C. C. Butler and Jose M. Flores, two prominent businessmen of Guam, were the moving spirit behind the organization of a Rotary club. On June 8 this year, the past vice-president of Rotary International on his way to the Cleveland convention, together with Messrs. Flores and Butler, made a preliminary survey of the possibilities. The result of theis survey he reported to the board of directors of R.I. 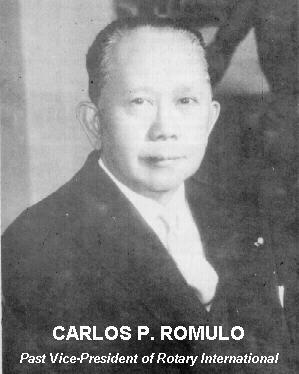 Returning to Manila on July 4, 1939, the provisional Rotary Club of GUam was organized by him in the house of Mr. Flores, at which Mr. Butler acted as the acting chairman and Mr. Flores as the acting secretary. All the necessary papers were perfected and the application for membership to R. I. was sent by Clipper to Chicago. Yesterday word was received from Chicago that the application of the Guam Rotary Club has been approved by the board. It is understood that the new club will have a gala night when its charter is officially presented to it. Justice of the Philippine Supreme Court, George Malcolm, an active Rotarian from Manila, who was enroute from the Philippines to the U.S. mainland via the now famous California Clipper; this day accordingly, became Charter Day for the Rotary Club of Guam. While details of the Charter Day presentation, like so many of the early records of the club have been destroyed by ravages of time, the devastation of war and the severe typhoons which visit our island, it is easy for anyone who has had the privilege of attending a local fiesta, rich Spanish and Chamorro tradition to visualize what a gala occasion this must have been. From the records which have come down to us, we know that the ceremonies included a presentation speech by Justice Malcolm, a response by Mr. C. C. Butler, the first President of the Guam Rotary Club and a banquet at the then George Washington Auditorium at Maite, featuring local entertainment. From the initial 20 charter members, the membership grew to 29 when Guam was occupied by the Japanese on 8 December 1941.